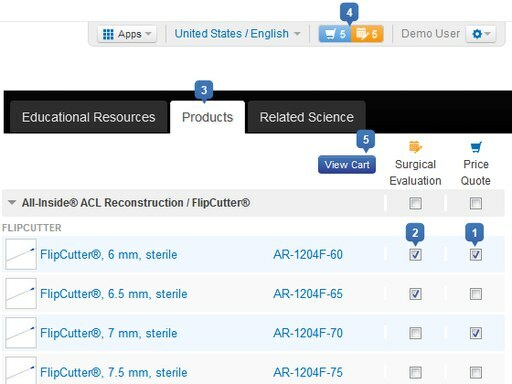 Arthrex® offers the most advanced techniques and instruments for hamstring harvesting and preparation. 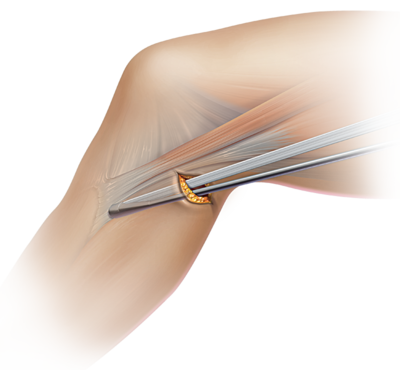 Harvesting can be accomplished safely and reproducibly both from the traditional anterior approach or through a posterior approach using the minimally invasive hamstring harvest technique and specialized tendon strippers. 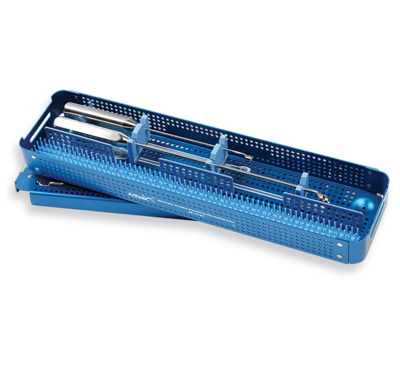 The Arthrex Graft Prep Station offers a variety of interchangeable clamps and posts to facilitate graft tensioning and suturing. Graft preparation has been revolutionized with the FiberLoop® line of suture and SpeedWhip™ technique. The continuous loops of #2 or #0 suture and free-floating straight or curved needles allow reproducible graft suturing in half the time of traditional straight sutures.